Ocean Views and Space to Relax, in this Guanacaste Rental Home. Casa Athena is a lovely three-bedroom home in the Guanacaste region. 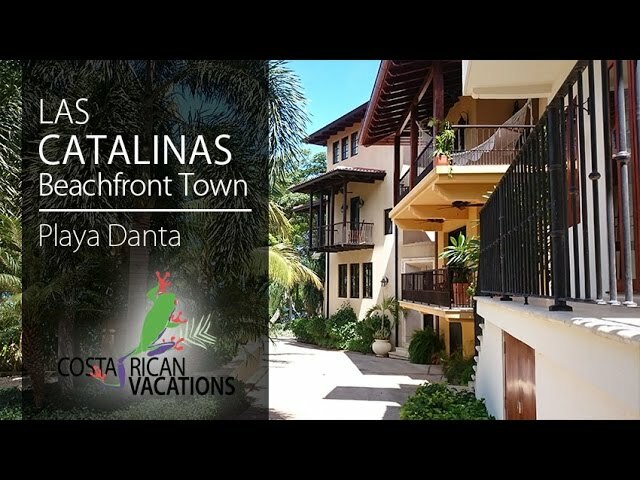 Nestled just behind tropical trees in the beachfront community of Las Catalinas, it is a perfect choice for family vacations and small group getaways. Designed by renowned architect Ricardo Arosemena, the home was thoughtfully crafted so that each room has an ocean view. This modern home has a spacious, fully equipped kitchen which is perfect for preparing meals for your group. This home is unique in its different common areas. You can choose to spend time in the first-floor covered dining area, next to the peaceful Paseo del Mar and just yards from the ocean. Another option is the private pool area, which also offers a dining area and chairs for sunbathing. Later in the day, make your way to the rooftop, where a terrace awaits you with incredible views of the mountains and the Pacific Ocean. The three rooms each have their own private bathrooms. The master suite is set apart, giving guests additional intimacy. As part of the Las Catalinas community, your stay comes with complimentary ¨House Mom¨ service includes breakfast prepared daily with ingredients found at home or what the Concierge Team has purchased prior to arrival.